Welcome to Week #4 of the OCG 2017.10 format. Typhoon Lan struck Japan last weekend, causing several tournaments held in Aichi and Okinawa to be cancelled due to safety concerns. 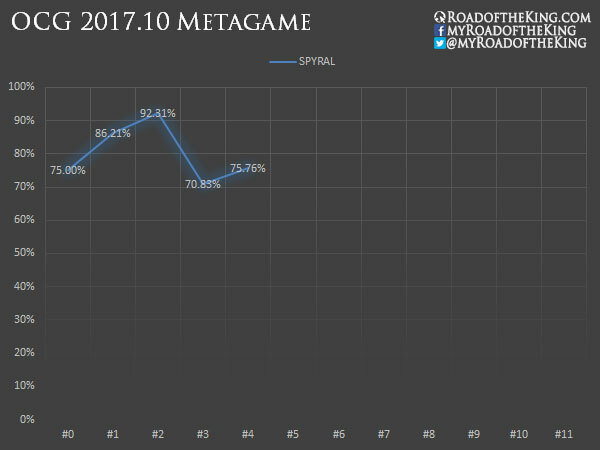 This report will cover 33 top-performing decks from 6 tournaments that were held in Japan during 21 – 24 October 2017. SPYRAL build has largely stabilized, with only minor variations in the choice of “Hand Traps”. 2 Maxx “C”, 3 Ghost Ogre & Snow Rabbit and 3 Ash Blossom & Joyous Spring have solidified their positions as the core “Hand Traps” in the Main Deck. There are split opinions between Ghost Reaper & Winter Cherries, Droll & Lock Bird and PSY-Framegear Gamma, but these are mostly relegated to the Side Deck. The only change in the Extra Deck is merely switching out Code Talker for Security Dragon. 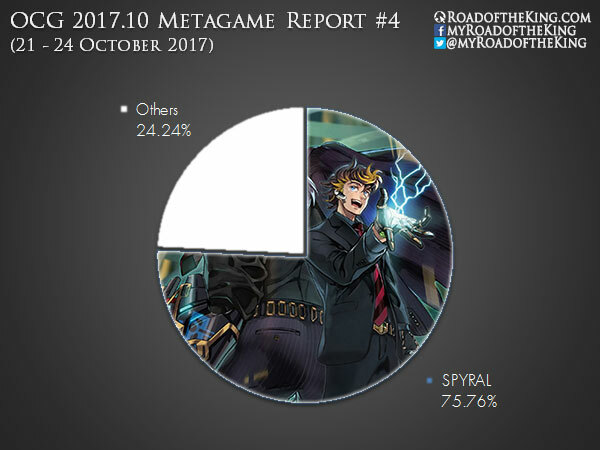 No surprise that SPYRAL is still the dominant deck in the competitive scene. Yang Zing Dinosaur has the most potential among the rogue decks, but their current performance is still largely insignificant. Wow, that shaddoll Hero Dinosaur deck is very curious. I wonder why he used hound which hasn’t use against link. I think falco could be a better option. Remember that the Link VRAINS pack is released in November, and their next banlist is in January, so maybe the meta changes before the banlist. 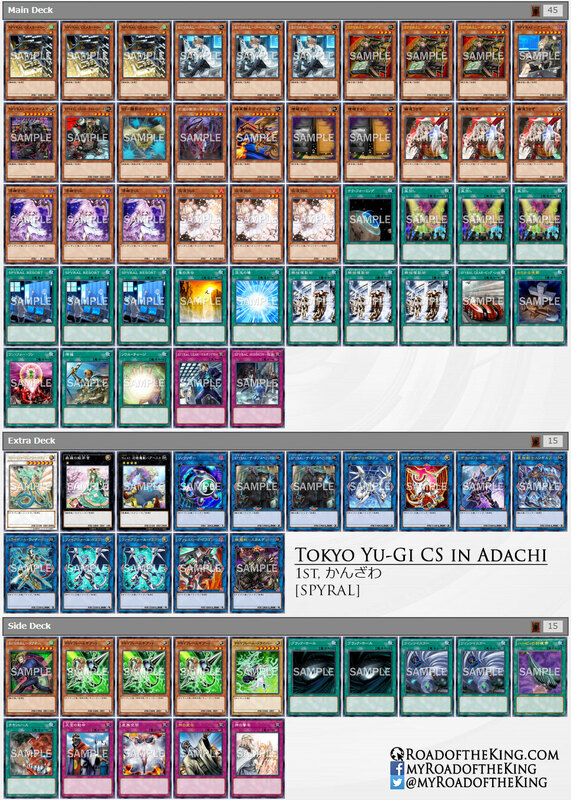 anybody have the decklist for the shaddoll hero dinosaur deck? i’m curious! You can check it on the references. Why do they play spyral tough?